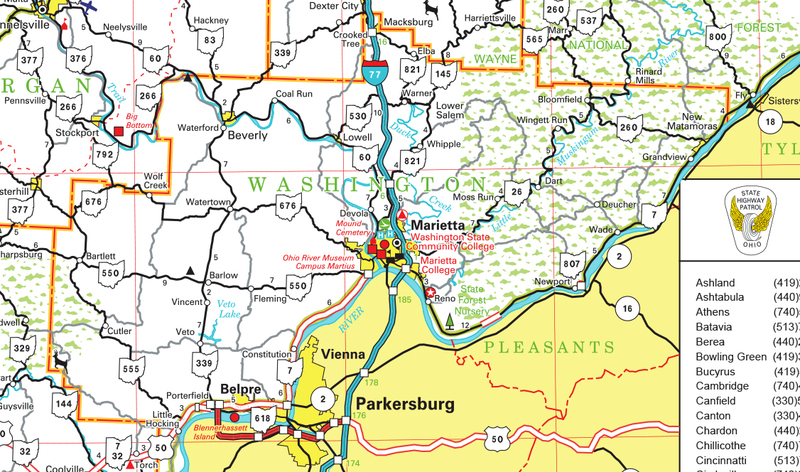 Washington County, OH, lies in Appalachian southeastern Ohio along the Ohio River. 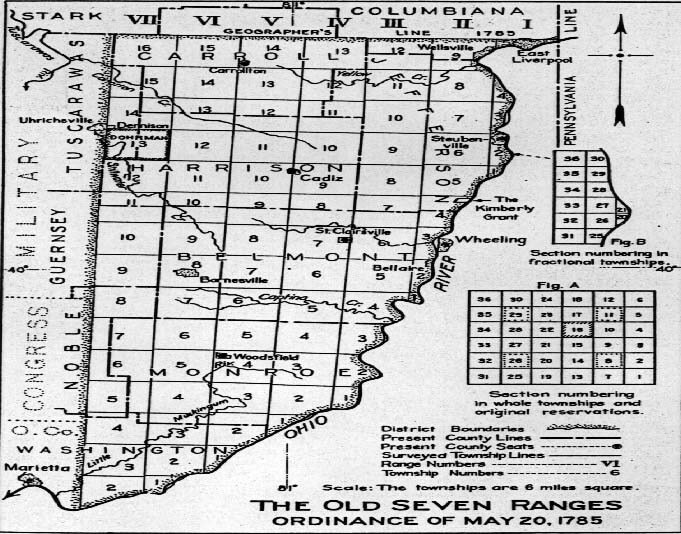 It was the first county in the Northwest Territory in 1788 and at that time stretched from the Ohio River in the south to Lake Erie in the north. The county seat is Marietta, where the Muskingum River flows into the Ohio. The county's other city is Belpre. The current 22 townships are Adams, Aurelius, Barlow, Belpre, Decatur, Dunham, Fairfield, Fearing, Grandview, Independence, Lawrence, Liberty, Ludlow, Marietta, Muskingum, Newport, Palmer, Salem, Warren, Waterford, Watertown, and Wesley. Former townships include, among others, Harmar, Middletown, Jolly, Newton, Plainfield, Roxbury, Tuskarora, Union, and Wooster. Washington County, OH, is bordered on the west by Athens County, on the northwest by Morgan County, on the north by Noble County, and on the northeast by Monroe County. Across the Ohio River it is bordered on the south mostly by Wood County, West Virginia, and slightly by Pleasants County, West Virginia, to the east. 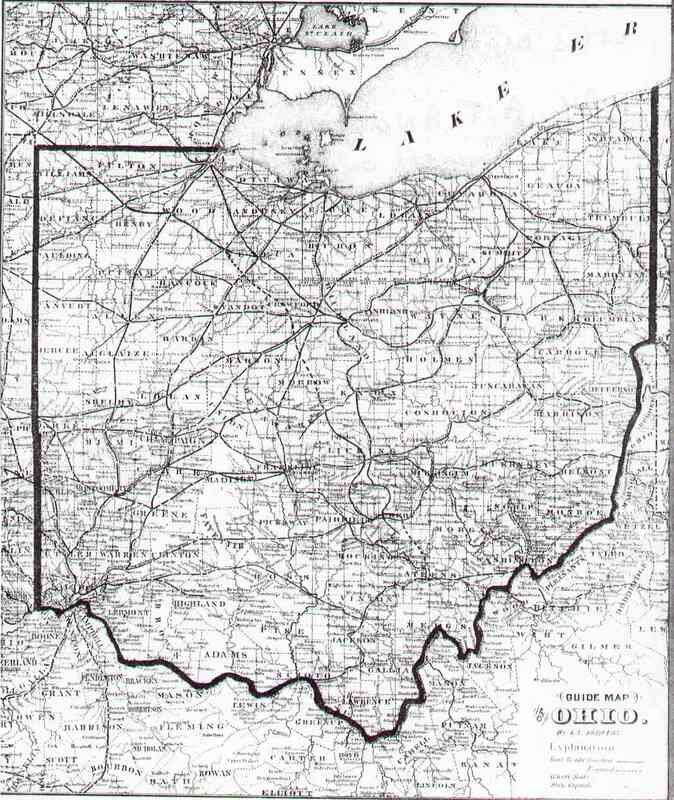 The Ohio, Muskingum, and Little Hocking Rivers, forests, coal mines, farming bottoms, hilly livestock grazing areas, and petroleum have supported many of Washington County's occupations. Non-native settlers included Yankee merchants and craftsmen from New England who were the first settlers in Marietta. There were also English farmers in Aurelius Township, German farmers in Fearing and Salem Townships and laborers in Marietta; Scottish sheep farmers in Barlow and Warren Townships, Irish farmers in Ludlow Township and railroad workers in Marietta; Jewish merchants and professionals in Marietta, African-American farmers and laborers in Decatur, Fairfield, and Wesley Townships; and Belgian glass workers in Marietta have all contributed to the economy of Washington County, Ohio. See the taps: Precipitation, Temperature, Streamflow, Water Loss, and Evaporation. 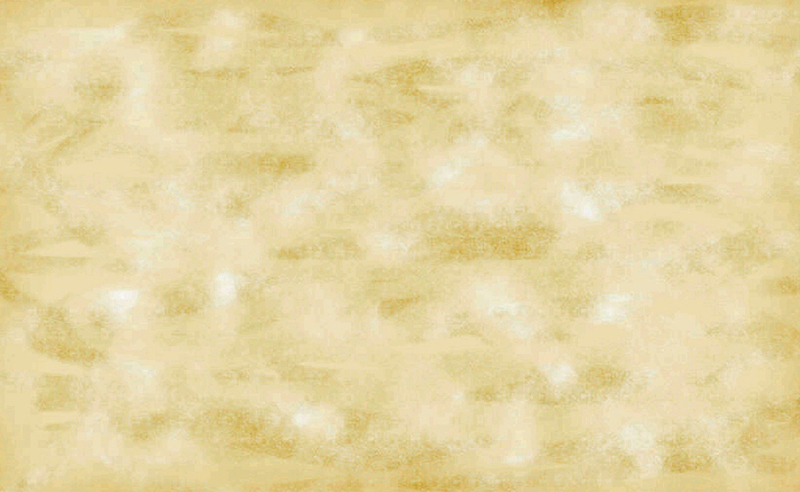 The above links are provided as a public service. Each Web site is responsible for its own content.